One of the key limitations of Molecular Dynamics (MD) simulations is the computational intractability of sampling protein conformational landscapes associated with either large system size or long time scales. To overcome this bottleneck, we present the REinforcement learning based Adaptive samPling (REAP) algorithm that aims to efficiently sample conformational space by learning the relative importance of each order parameter as it samples the landscape. 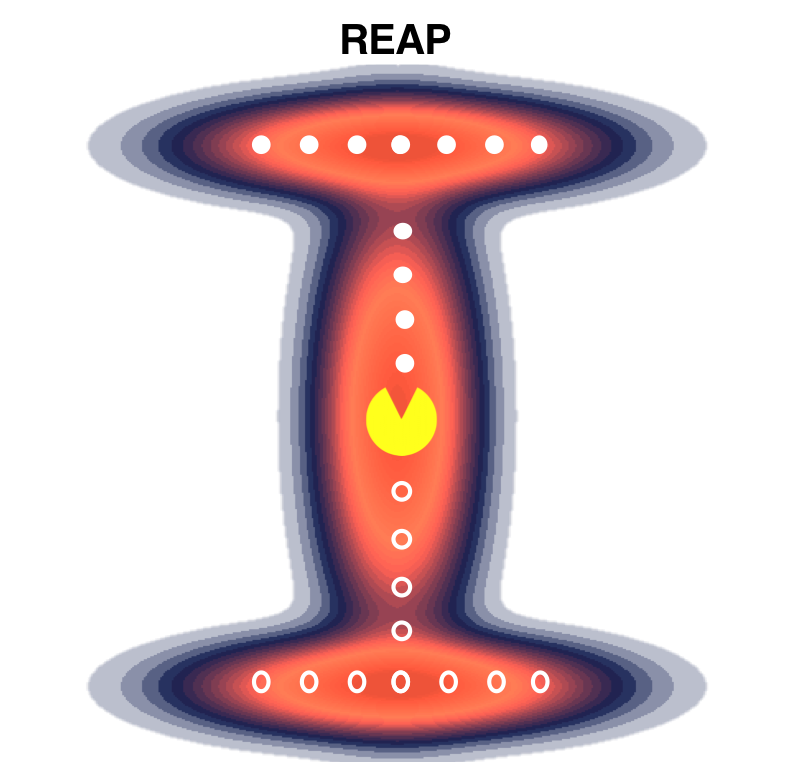 To achieve this, the algorithm uses concepts from the field of reinforcement learning, a subset of machine learning, which rewards sampling along important degrees of freedom and disregards others that do not facilitate exploration or exploitation. We demonstrate the effectiveness of REAP by comparing the sampling to long continuous MD simulations and least-counts adaptive sampling on two model landscapes (L-shaped and circular) and realistic systems such as alanine dipeptide and Src kinase. In all four systems, the REAP algorithm consistently demonstrates its ability to explore conformational space faster than the other two methods when comparing the expected values of the landscape discovered for a given amount of time. The key advantage of REAP is on-the-fly estimation of the importance of collective variables, which makes it particularly useful for systems with limited structural information.